Our high-grade fully-machined plates with a rich baked Hammertone Gray enamel paint are made from ASTM Grade 20 cast iron and are designed to fit on all 2 bars and shafts. The deep dish rim design allows easy handling. 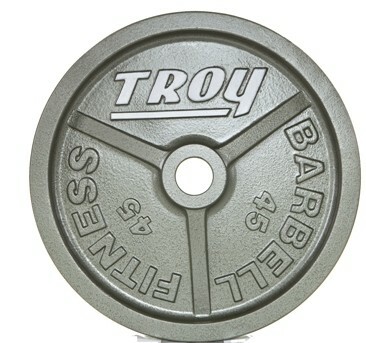 These Olympic plates are machined on rims, side, back and center to maintain a 2% accuracy level, plus or minus.